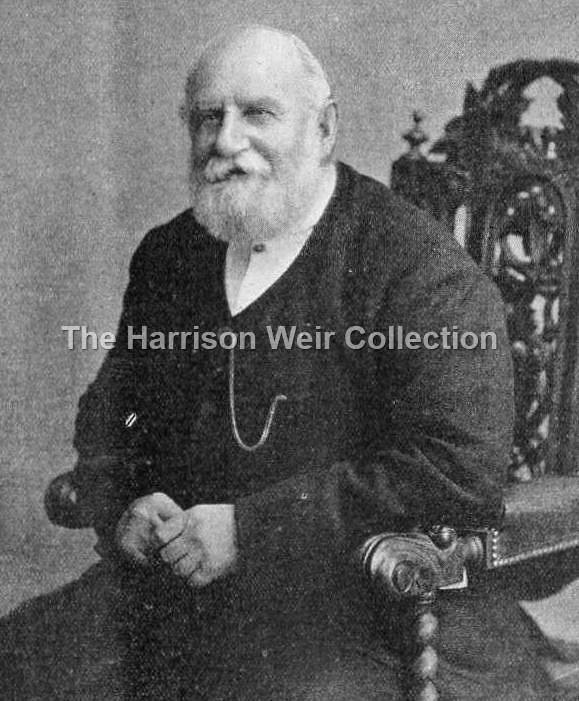 Here is a portrait of the great man Harrison William Weir himself, this image obviously taken in the last few years of his life. It was featured in the January 23rd edition of The Gardener's Chronicle, in an obituary, just 10 days after his passing on January 3rd, 1906. Harrison Weir was well known to have been of a very genial disposition, and full of interesting anecdotes relating to all types of animals!